Circle Security, we know security systems inside out. Established in 1984, we have built a solid reputation as specialists in the design, installation and maintenance of customised security systems for residential and commercial properties throughout Edinburgh and the Lothians. 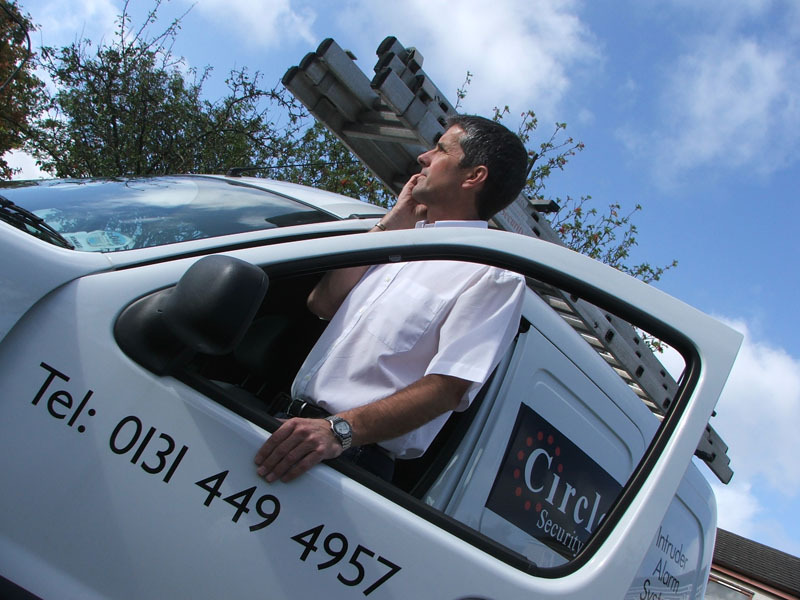 Over the years the range, technology and sophistication of alarms and security systems may have changed, but at Circle Security one thing has stayed the same - our commitment to providing a personalised service. Our security solutions are carefully designed to meet your brief and provide round-the-clock protection whatever your priorities. With decades of experience to call on, clients trust our expertise and high standards. Being independent means we can respond quickly throughout every stage of the process, from initial contact to installation, through to on-going maintenance of your system. Our service begins with a free, no-obligation consultation to discuss the various security options you may wish to consider for your property. We're equally proud that a high percentage of our work continues to come from the personal recommendations of satisfied customers. But don't take our word for it! "Very pleased with the advice, installation and quality of work provided. The fitters were friendly, professional, did an excellent job and left the place clean and tidy. Once installed, I was taken through how to setup and use the system and left with full instructions."